Cognex Corporation (NASDAQ: CGNX), the world's leader in machine vision, has received approval from BNP Associates, Inc. for its Airport Baggage Handling Identification (ABH-ID) Solution. BNP’s approval followed an extensive review of the image-based technology that Cognex offers for reading barcodes on IATA-regulated baggage tags. 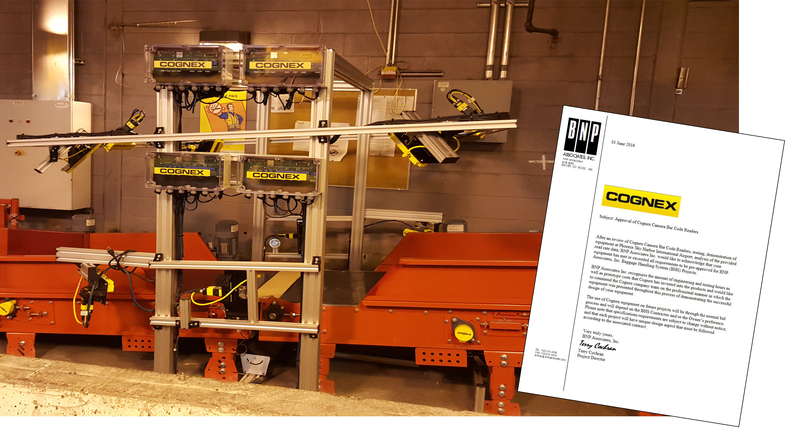 To achieve this certification, Cognex performed specific tests that demonstrated the system’s read rate capability, redundancy and communications protocols. BNP’s evaluation, through rigorous performance and reliability tests, determined that with read rates consistently in the 99% range, the Cognex ABH-ID system outperformed current technology in the market. Cognex is experiencing rapid growth in the baggage handling industry, with completed installations in airports across the U.S. and Europe. The approval from BNP Associates opens opportunities for many more airports across the globe to experience the benefits of Cognex barcode reading technology. The Cognex ABH-ID Solution is equipped with industry-leading technology that ensures high read rates for fast and reliable baggage delivery, minimizing the costs associated with manual delivery of lost or late checked luggage. The solution features patent-pending Xpand™ technology that reduces the overall system footprint and simplifies installation. To lower maintenance costs, the system utilizes DataMan fixed-mount image-based barcode readers that, unlike laser scanners, have no moving parts to wear out or fail.